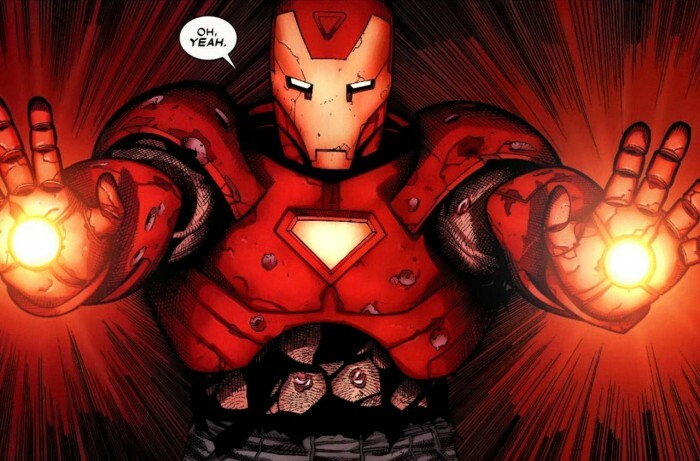 Ahem… *puts on nerd glasses* Actually, this is Wolverine using Iron Man’s armor. It’s from the original “Old Man Logan” arc, a What If-type story published in Wolverine #66 through #72 in 2008-2009, not to be confused with the standalone Old Man Logan Giant Size which is a sequel to said arc. This particular image is from Wolverine #72.